SAN FRANCISCO (KGO) -- It was billed as the first passenger-carrying BART train to make the crossing through the Transbay Tube from Oakland to San Francisco. The day was June 10, 1972, a date confirmed by BART's own records. BART was preparing to launch service in the East Bay in the fall, while work to electrify the Transbay Tube was still in progress. An open house had been scheduled to show off one of its new trains to curious San Francisco residents at the Powell Street station. Without power from a third rail, the train had to be pushed through the 3.6 mile tunnel. I drew the assignment to take the slow ride through the Tube. This was historic, and BART was excited to have us on board. A second camera crew was waiting for us at Embarcadero Station to record (on film in those days) our emergence from the Tube, a total journey of six miles from the West Oakland station. But, something went wrong, and along the way the train stopped moving. We had portable walkie-talkies to communicate with the newsroom, but they didn't work at 135 feet below sea level, the tunnel's low point. We sat, and we sat. No one seemed too worried, although a deadline-conscious reporter was worried he was going to miss getting this story on the news. Eventually, a decision was made to open the train car doors and have us walk along a narrow catwalk to San Francisco. To this day, I don't recall exactly where that walk began, but in the dark and dampness of the Tube, it seemed like it was a long, endless trek. You never appreciate "light at the end of the tunnel" until you've walked through the Transbay Tube and realize you're getting close. It wasn't the story we expected, but we made it. I don't know if many others can say they've transversed the Transbay Tube with measured steps instead of the usual 80 miles per hour trains pass through it today. 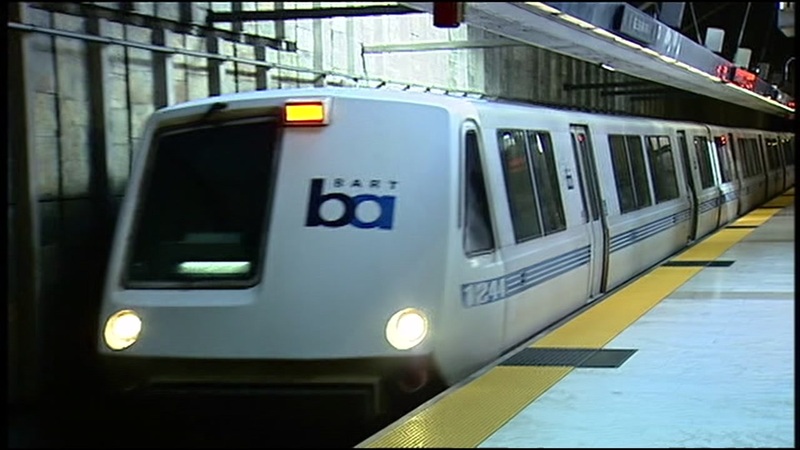 Take a look at more stories and videos on BART.